Microsoft is ending its support for Windows XP next month, and about time. 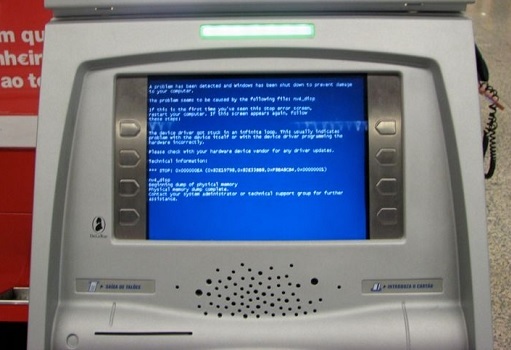 But a troubling fact is that 95% of the worlds ATMs are still running Windows XP. This means the already vulnerable machines will be even more vulnerable after next month. It’s bad enough if a moderately skilled hacker can go around withdrawing cash for free, but peoples bank details also become vulnerable to attackers. Many banks are working on upgrading their ATMs, but I feel it may have been a little too long to wait. The newer fleet of advanced ATMs will be capable of upgrading their machines to a newer version of Windows through their network. On the other hand, older ATMs will need to install the new version on the machines one by one.